Let’s go over a few ways to start making your home more energy-efficient, the best place to focus on is your home’s envelope. Today We’re going to talk about making sure your attic and walls are well insulated. 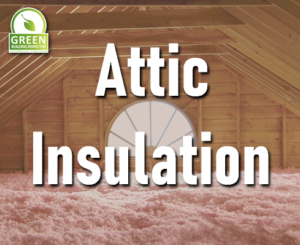 If your attic is unfinished, it often pays to upgrade its insulation. When I’m doing inspections I run into a few problems that I know is costing my clients all year round. Air Leakage- from gaps and cracks should have been sealed before installing insulation. Uneven Insulation- Heat will penetrate the low points in insulation, it needs to be even. Improper Venting- All vents must terminate to the exterior of your home. Attic Covering- Needs to be weather stripped and insulated, his area causes the most drafts. Contact Warden Home Inspections to get your home Green Certified!